Research has shown that fish oil, which is rich in the omega-3 fatty acids EPA and DHA, may be useful in the treatment of depression. Epidemiological studies suggest that either a deficiency of omega-3 fatty acids or an imbalance in the ratio of omega-6 and omega-3 fatty acids may be linked to increased rates of depression. Further, a handful of small, well-designed studies support the use of fish oil as an addition to antidepressant therapy. Not all fish are created equal, however. The best source of omega-3 fatty acids from fish are wild fish from northern waters. Wild fish eat a lot of algae, which are rich in omega-3 fatty acids. Farm-raised fish should be avoided since they are generally fed foods low in omega-3 fatty acids, such as cornmeal. Possible heavy metal and pesticide contamination is also an issue that should be considered when purchasing fish. The smaller cold-water fish, such as herring, mackerel, salmon, and sardines, are your best choices. Larger fish and farmed fish may accumulate toxins in their tissues. Mercury, polychlorinated biphenyls (PCBs), dioxins, and pesticide residues are the toxins of greatest concern. At this time, however, it is thought that the benefits of consuming fish outweigh the risks for most people. If a person does not like eating fish, another more convenient option is to take a fish oil supplement. 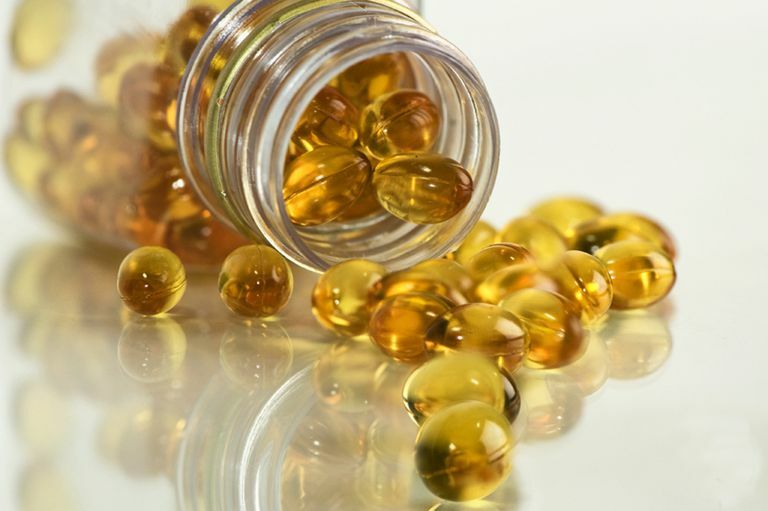 In addition to being more convenient, studies indicate that fish oil supplements are much less likely than fish to contain contaminants, due to the purification that occurs during the manufacturing process. Pregnant women and children, in particular, should take fish oil supplements rather than eating fish in order to avoid this contamination. If you are taking fish oil because you have high triglycerides, a type of fat which is associated with increased risk of heart disease, your doctor may prescribe a prescription fish oil like Lovaza for you. Prescription fish oil capsules contain highly purified fish oil with a greater concentration of omega-3 fatty acids than most over-the-counter fish oil capsules. This is helpful for conditions like high triglycerides where larger doses of omega-3 fatty acids are needed. Other good dietary sources of omega-3 fatty acids include flax seeds, nuts and fortified foods like certain brands of eggs, milk, and orange juice. These options are especially good for those on a vegetarian or vegan diet who may wish to avoid certain animal products like fish. "Fish: Friend or Foe?" Harvard T.H. Chan School of Public Health. The President and Fellows of Harvard College. Mayo Clinic Staff. "Triglyercides: Why Do They Matter?" Mayo Clinic. Mayo Foundation for Medical Education and Research. Published: August 15, 2015. "Omega-3 Fish Oil Supplements and Prescriptions." WebMD. WebMD, LLC. Reviewed by: David Kiefer, MD on May 1, 2015. Rakel, David. Integrative Medicine. 2nd ed. Philadelphia: Saunders Elsevier, 2007.